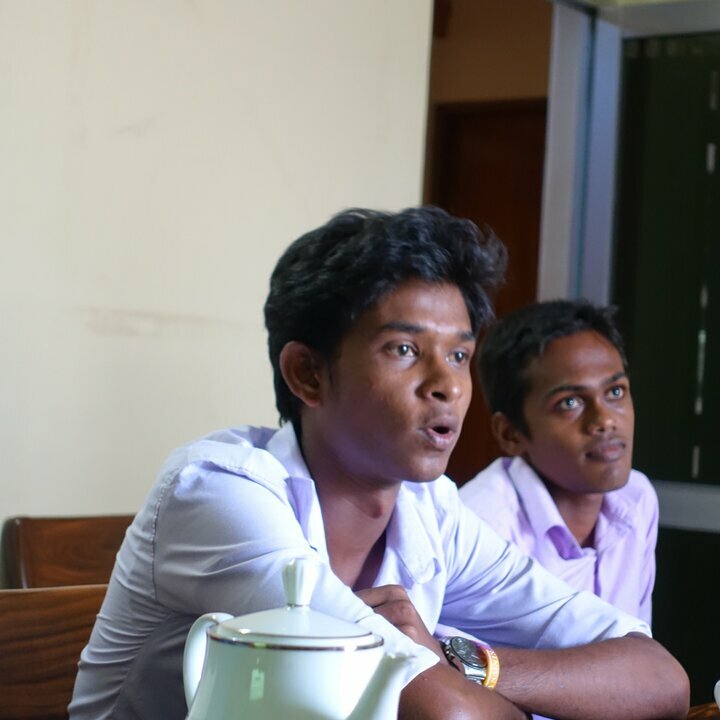 In three districts in northern, eastern and southern Sri Lanka, Helvetas’ partner organizations conduct reconciliation courses and exchanges between teenagers and young adults from different ethnic groups so that they can carry the spirit of reconciliation and tolerance into their villages. The civil war in Sri Lanka has been over for about 10 years, and for several years the government has been promising to introduce a policy of reconciliation. And yet the prejudices between the Singhalese and Tamil communities that arose and were deliberately fomented during the war linger on. The current plight of women in Sri Lanka, moreover, is compounded by the fact that they are accorded fewer rights and a lower social standing than men. Our Crossing Boundaries project targets young people with a view to bridging these deep divides in Sri Lankan society. Helvetas works with the heads of youth clubs that are funded in every village by the government as part of its active youth policy. Targeting the Sinhalese (Galle District), Tamil (Kilinochchi District) and Muslim (Batticaloa) groups on the south, east and north sides of the island, our partner organizations conduct youth meetings, training courses and exchanges for teenagers and young adults to stay with families of a different ethnic group for several days. In addition to the mostly Hindu Tamils and Buddhist Singhalese, young Muslims are included as well. Furthermore, the organizers see to it that equal numbers of men and women take part in each activity. 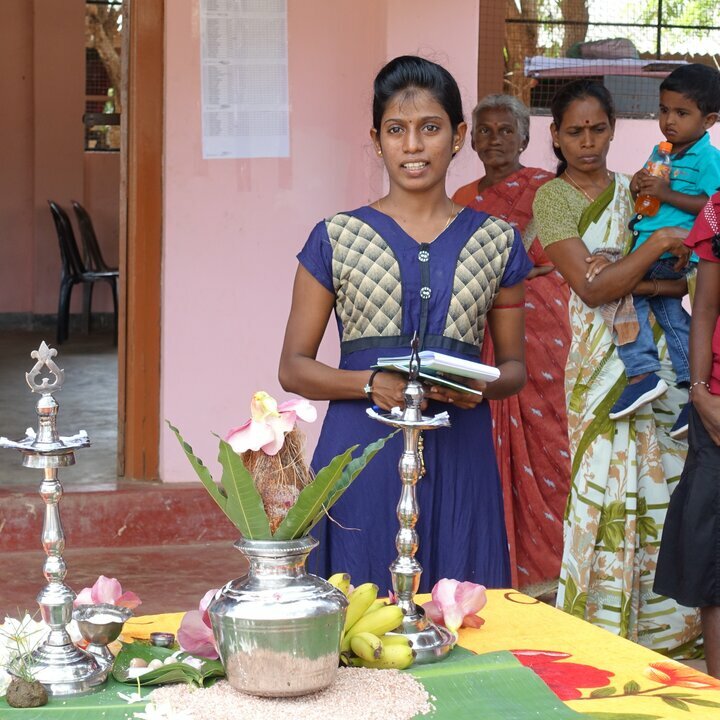 Kejita Balachandran (25), who organized a workshop in her village, Sri Lanka. The participants at the youth meetings talk about their experiences and preconceptions. They discuss traumatic experiences – both their own and those of others. Above all, they learn how many experiences they have in common with their peers from other ethnic groups. When staying with families of a different ethnicity, they share in the host family’s everyday life and come to understand that the main concerns and problems in Hindu, Buddhist and Muslim families are the same: food, health, education and the question when and how young adults can strike out on their own. They bring their insights back to their villages and organize workshops themselves on reconciliation and conflict management for youths and young adults. Our partners put them in touch with politically influential figures, moreover, to ensure that their efforts towards healing a war-torn society will gain traction – and due recognition from the authorities. Amila Kasun Pathina Jaka (19), a Singhalese woman who took part in a trip to get to know young Tamils, Sri Lanka.